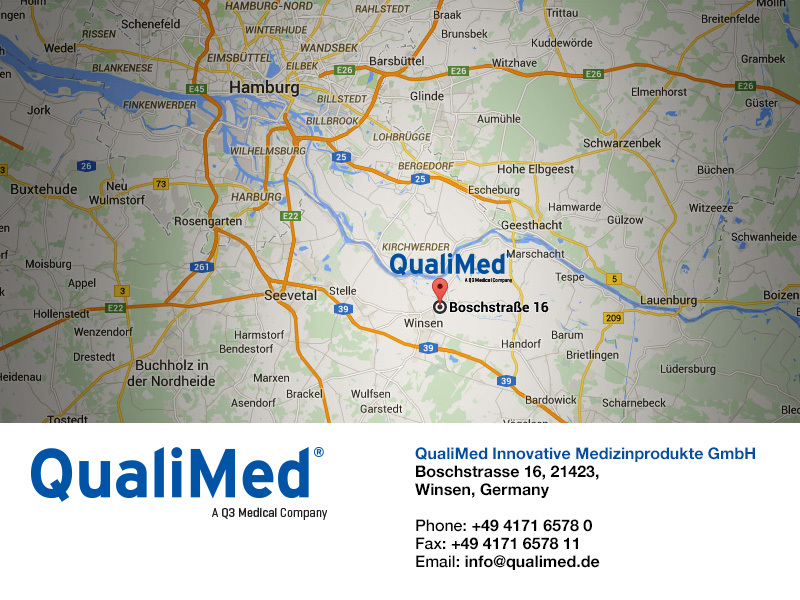 The company is a full service provider of implantable interventional and surgical devices, catheters, drug device combination products and biodegradable implants all produced at its manufacturing facility based outside of Hamburg Germany. The company is known worldwide as a leading designer, developer, producer, and seller of implantable devices The company has extensive expertise with mechanical devices used in all interventional and surgical areas as well as various catheter technologies including ballooning with various materials, sizes, and diameters. Additionally, the company has developed a number of drug device combination products that are currently being sold worldwide through its sales channel. The company focuses on individual solutions for its partner customers that address the special requirements of the application in the human body. The company has current biodegradable expertise and offers different material solutions like magnesium, iron, biodegradable polymers, and hydrogel for the construction of medical device implants. The degradation time can be varied from weeks to years in the human body depending on the anatomical requirements where the devices are implanted. The company is currently working on additional combination materials to enhance future applications and use. The company has a steadfast belief that Biodegradable implants will offer a new way of healing for future generations’ worldwide. The company develops and manufactures a variety of different technologies for medical device implants ranging from small coronary or neuro implants to large bore stent for pulmonary, esophageal, and other gastro intestinal indications. The company has the ability to perform all steps of the production process for the early design and prototyping through to scale up and production. The company has the capabilities to deliver various single and multi lumen catheters made from a large selection of materials specifically selected based on our customers design input specifications including but not limited to strong platform materials like polyamides and polyamide blends, PEEK, Polyimide, braided tubes and various multilayer tubing’s. The company has balloon blowing expertise to get high quality balloons with different customized behavior like non-compliant, semi-compliant and compliant balloons. The company has capabilities to use different materials and one or more multi-layer tubing’s to build the balloons, this coupled with a modern, complete process controlled manufacturing process, allows for the production of virtually any design with a controlled constant balloon behavior. The company has capabilities to coat materials with bio stable and biodegradable polymers such as stainless steel, cobalt chromium, nitinol, other alloys, nylons, urethanes, and an assortment of other materials with a variety of drugs including paclitaxel and sirolimus based pharmacologics. Regulatory requirements for Drug Combination Devices are much more complicated because medical device regulations as well as medicinal substance regulations are involved. The company can assist in helping its customer partners establish their regulatory strategies involving drug device combination technologies. The company developed and established different technologies for coatings and coverings of medical products in the broadest sense. This includes ion implantation technology to improve surface biocompatibility, covered stents to prevent in growth, and coated surfaces as a material to create a base to launch drugs elution properties from. The company has coating capabilities for dip coating, spray coating, an electro spinning. Regulatory strategies and assessments are involved in an early stage of the QualiMed development methodology. After the product or concept Idea Phase is initiated a corresponding literature review and feasibility assessment will be performed and supported by the Regulatory Affairs department to make sure that ideas will have a certain level of approval success at the end of the development and the commencement of commercialization. Over the past ten years the company has established clinical trial channel to test products and technologies in the areas of interventional cardiology, peripheral vascular, and non-vascular areas. The company is utilizing its network of clinical advisors to insure that the right groups are established to execute on the clinical testing needs for its technology and to produce clinical papers to support its developments and subsequent launch of its technology. Once products are approved this network can be used to help with the clinical introduction of the technology as well as aftermarket training as needed. The company has an extensive network and expertise in various clinical specialties and is focused on leveraging these relationships to insure that products meet the clinical needs in the market. Once products are approved this network can be used to help with the clinical introduction of the technology into the market. The company is running a modern Quality Management System focusing on controlling processes and building in quality from the early product stages. The company is certified to ISO 13485:2012 and ISO 9001:2008 standards and Medical Device Directive 93/42/EEC Annex II. Risk management throughout the development process is the company’s key tool to achieve safe product design, selection of best components, and to implement the right controls in production.